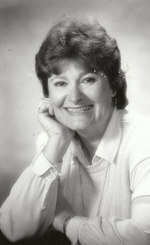 Julie Ann Helenthal, of Ashland, died peacefully at her home surrounded by family on May 2nd at the age of 76.Julie is survived by her loving husband of 55 years, Richard; her four children Brad (Nichole), Brian (Cindy), Pam (Brian) and Rick (Velecia); her sister Jill (Alan) Greer, brothers Bill (Sue) and Jack (Betsy) Maxwell. She also has 12 grandchildren and 2 great-grandchildren. She is preceded in death by her parents John and Ruth Maxwell. Julie was born on November 29, 1941 in Columbus, Ohio to John and Ruth Maxwell. She graduated from Bishop Watterson High school in 1959 and The Ohio State University in 1965. She married Richard Paul Helenthal on June 15, 1963. They resided in Columbus, Ohio for the majority of her life. She worked at the Columbus Rec and Parks for 30 years. She also hosted a radio show on WOSU for several years. Julie was an accomplished quilter and was a two time president of the Knox County quilt guild. She was loving, generous person who loved spending time with family and friends. She was a dedicated member of Saint Edward’s Church in Ashland and Our Lady of Peace parishes in Columbus, Ohio. A funeral is scheduled for Monday, May 7th at 11 am followed by a burial at Ashland Cemetery. Father Rod Kreidler will officiate the ceremony to celebrate Julie’s life. In lieu of flowers, please send donations in her name to the Alzheimer’s association at Northwest Ohio Chapter, 2131 Park Ave. West Suite 123, Ontario, Ohio 44906.Denbow-Gasche Funeral home is assisting the family with the arrangements. To send flowers to the family of Julie Ann Helenthal (Maxwell), please visit our Heartfelt Sympathies Store.